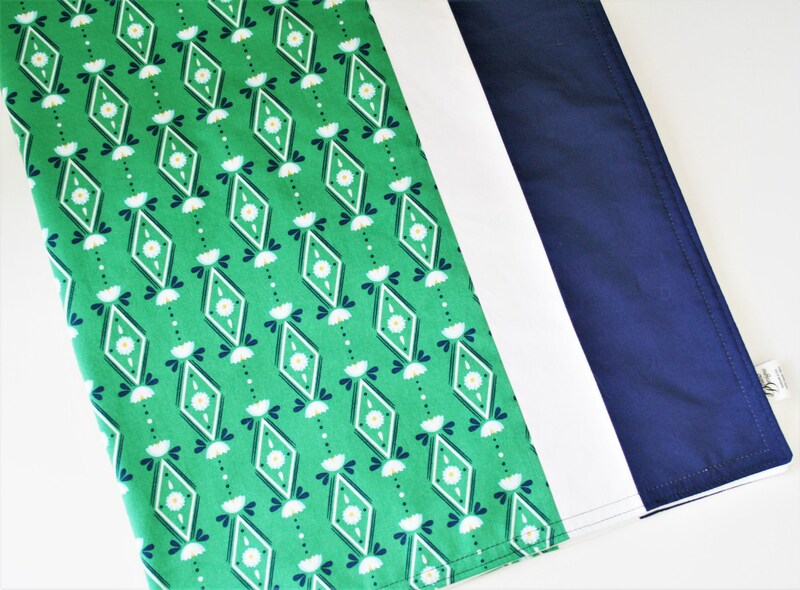 Sweet and modern baby blanket in a refreshing palette of green and navy blue with some crisp white and bit of yellow and light blue. 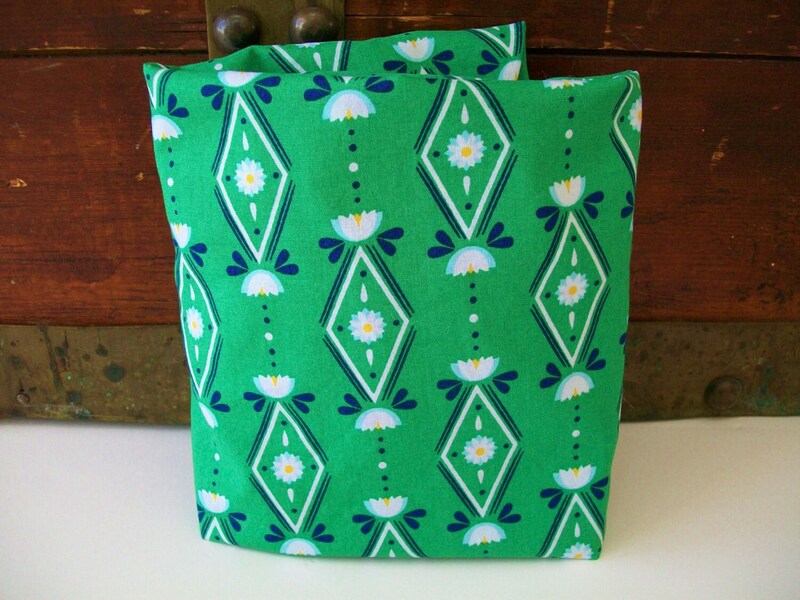 We call this collection Wallflower! 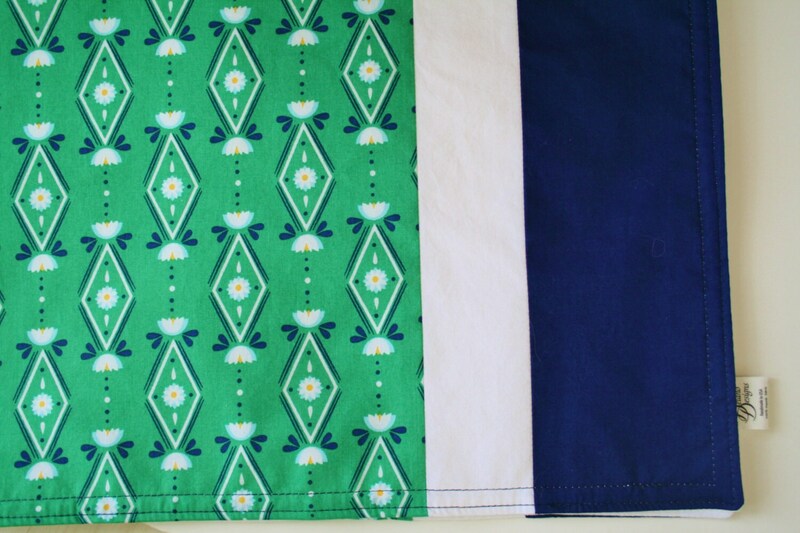 The blanket is backed with lovely soft organic white flannel. 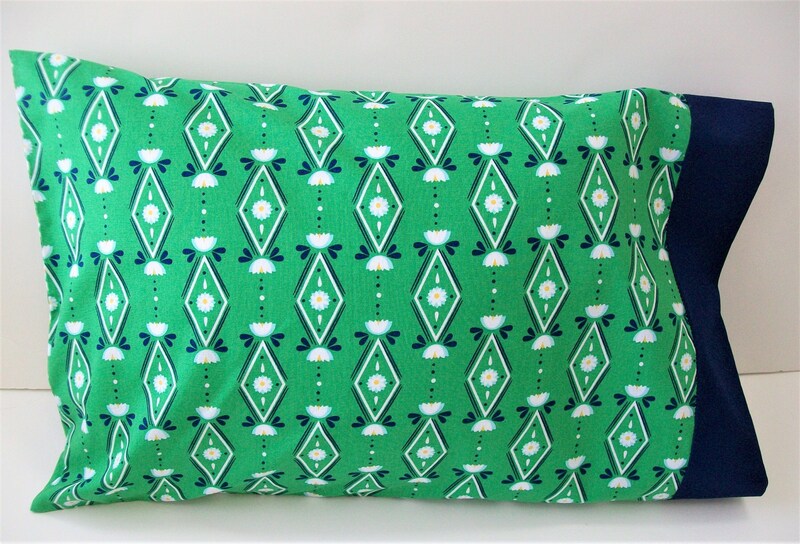 The fabrics are all 100% organic, GOTS certified from Cloud9 Fabrics. 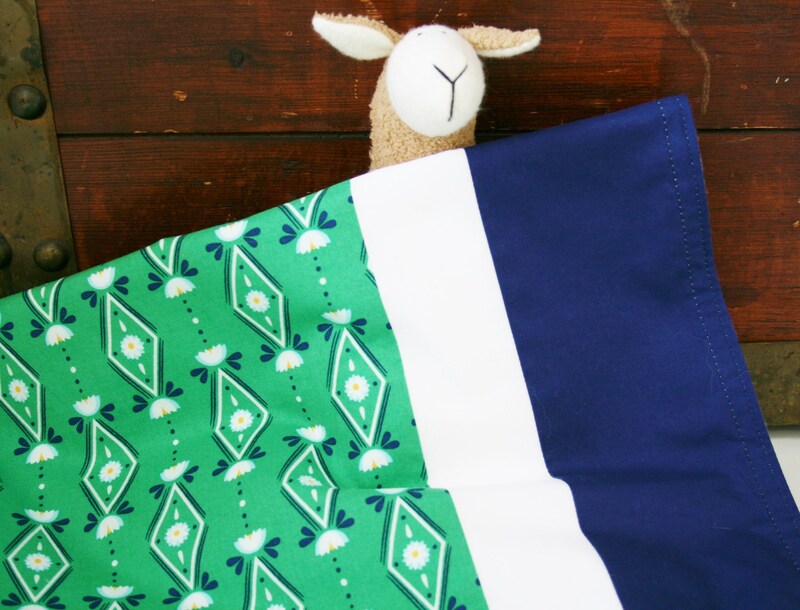 As pictured the blankie is ready to ship. 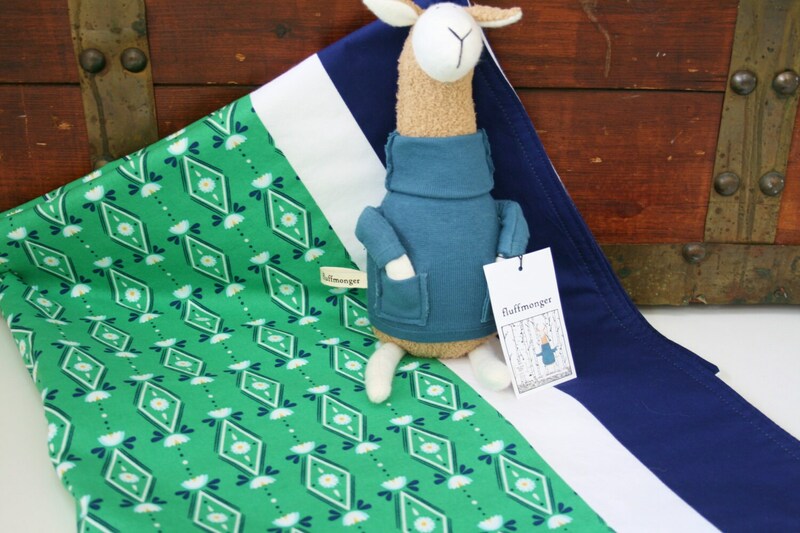 Franklin Delano the llama*, loves to cuddle with this blankie! 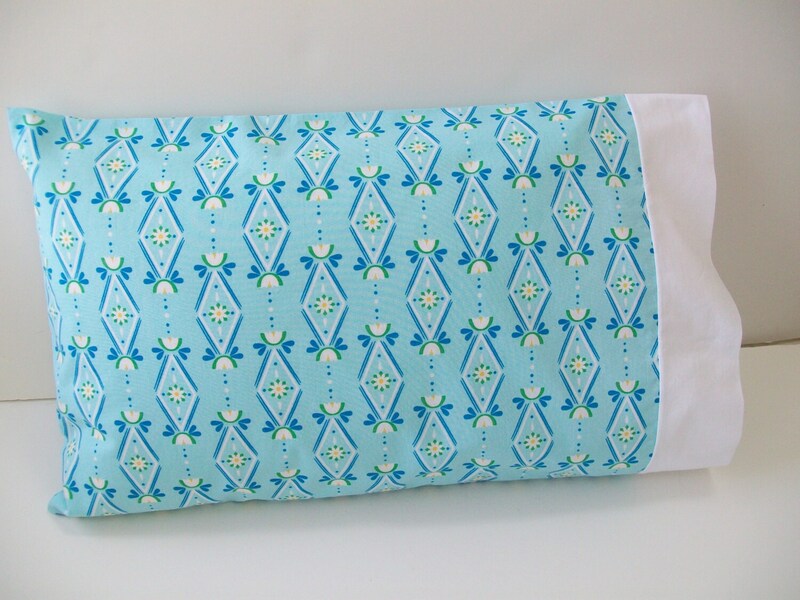 This "big blankie" measures 32" x 36" a wonderful size for receiving, swaddling, strolling or cuddling! 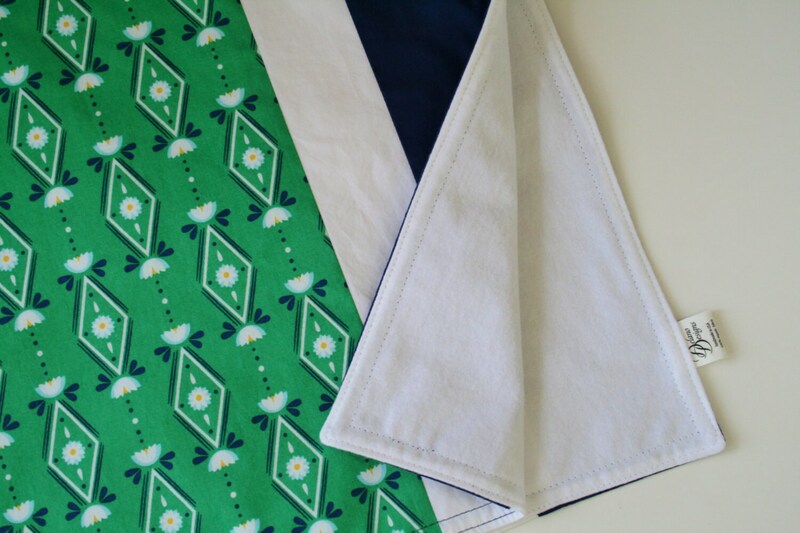 All of our fabrics are prewashed in fragrance free/chemical free detergent to minimize shrinkage. Machine wash cold, gentle cycle, air or tumble dry low.